Medical Review Panels – SB 4 would create panels to review medical malpractice insurance claims before they progress into lawsuits. This change to the civil justice system was originally planned to be part of the package of bills passed the first week of the session back in January. However, several House members objected to the bill and after significant negotiations an amendment was agreed upon this week and the bill passed the House and the amendment was agreed to by the Senate. Charter Schools – HB 520 would authorize charter schools in Kentucky. This has been an issue percolating below the surface for much of the session and finally emerged last week. The bill passed out of the House Education Committee and off the House floor by a vote of 56-39 after significant and contentious debate. Public Pension Reforms – SB 2 was delivered to the Governor last week. The bill will make several changes to Kentucky’s public pension systems including how they handle contracts, appoint members to their boards, interact with consultants, and compensate their employees. Judicial Redistricting –SB 9 a plan to reallocate the judicial districts across the state passed the Senate and now awaits action in the House. Addressing overhead issues like tort reform, workers compensation, and health insurance mandates. 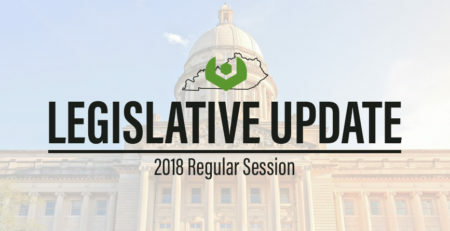 Workers Compensation Reform – HB 296 sponsored by Rep. Koenig (R-Erlanger) is an effort by employers to improve the efficiency and reduce the cost of the workers comp system for employers. The main provisions in the bill deal with getting injured employees back to work quicker, clarifying provisions that are in law already that have been eroded by the courts and administrative interpretations, and establishing an appropriate duration for medical claims. The bill will be heard in the Senate Economic Development, Tourism, and Labor committee TODAY. Please call your state senator at 1-800-372-7181 and ask that they vote YES on HB 296. 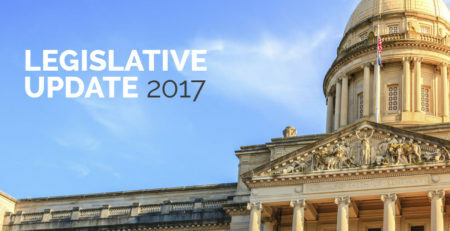 Civil Justice Reform – Several civil justice reform bills of interest to KAM have moved through the legislative process. HB 223, sponsored by Rep. Joe Fischer, to reduce the judgment interest rate from 12% to 6%, has passed the House and Senate and should be on the Governor’s Desk this week. 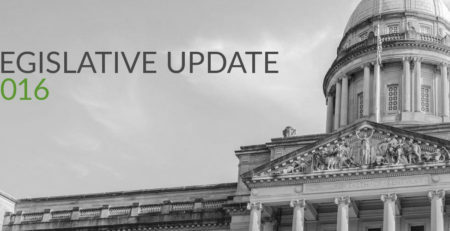 HB 281, sponsored by Rep. Jason Nemes, relates to transparency in Attorney General contracting (TiPAC) and is awaiting consideration by the Senate Judiciary committee. KAM supports these bills and a legal climate that isn’t punitive on business. Nuclear Energy – Senator Danny Carroll (R-Paducah) introduced SB 11, legislation that we’ve seen in various forms for the past decade related to nuclear energy and lifting the moratorium on the construction of new facilities. SB 11 has passed the Senate and awaits action in the House Economic Development and Workforce Investment committee. KAM supports this effort. Please call your state representative at 1-800-372-7181 and ask that they vote YES on SB 11. HB 184, sponsored by Rep. Suzanne Miles, is legislation that amends the current law – which allows for overweight trucks carrying metal to or from a manufacturing facility – to apply the same standard to metal commodities, which would include aluminum. The bill passed the House last week by a vote of 64-27. It awaits action in the Senate Transportation Committee. 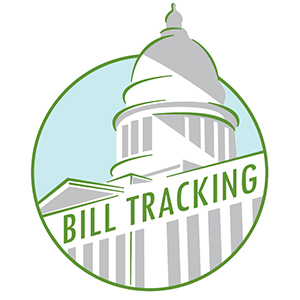 As in past years, we will continue to communicate with you weekly with bill tracking lists on the KAM Homepage (www.KAM.us.com), summaries of legislative actions and dynamics, and specific bills of interest. We will also, of course, contact you immediately as issues of particular interest or concern arise. Meet the KAM Governmental Affairs Team here. Don’t know who your elected representatives are? Click here to reach the Action Center of the Kentucky Prosperity Project to find this and other important information to help you make your opinion heard on matters affecting you and your business!